Do you want to learn new Mandan words, and have fun while doing it? 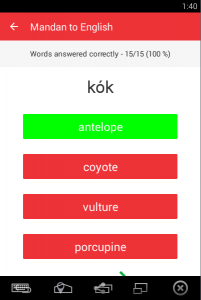 Check out Mandan Vocab Builder – play your way to better Mandan vocabulary skills! Now available for Android at the Google Play Store and for iOS at the Apple Store. 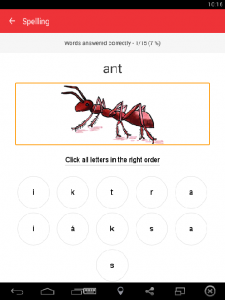 A fun, interactive, new way to learn Mandan! Whether you are learning on your own, or taking a beginner’s Mandan class, Mandan Vocab Builder will help build your confidence in using new Mandan words.